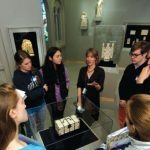 Elizabeth Rodini and Walters Art Museum postdoctoral fellow Ben Tilghman helped students research the “back stories” of objects in the Walters. Read the article in Arts & Sciences Magazine. 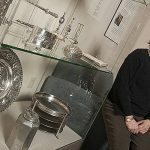 Sonneborn Collection of Judaica to be used for research and teaching. Read the article in the JHU Gazette.